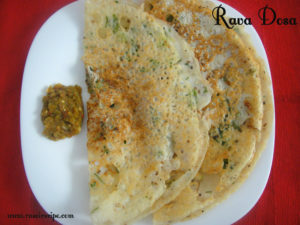 Rava Dosa is a variety of South Indian dosa. It is like pancake or crepe. 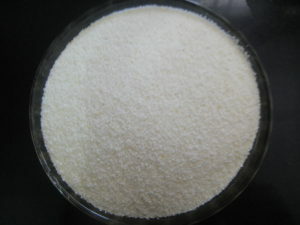 Rava means semolina (english) or sooji (hindi).The best part about this variety is that it is instant. No fermentation is required for this dosa variety. You can serve it as snack or breakfast or main course. 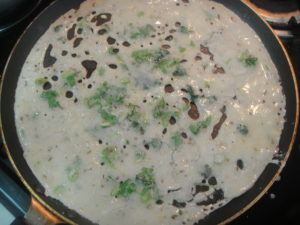 Batter for this dosa is of very thin consistency. Semolina dosa needs no fermentation, all you need to do to prepare crisp dosas is to let the batter sit for at least 15 mins. The main ingredients for this dosa are semolina, rice flour and all-purpose flour (maida). To make it spicy you can add spices and green chillies. This recipe is of spicy rava dosa. Serve dosa with any chutney recipe of your choice. For more South Indian recipes check Hyderabadi Bagara Baingan (Spicy Aubergine Curry) , Instant Masala Rava Idli (with coconut chutney) , Neer Dosa (Rice Crêpe – South India Cuisine). 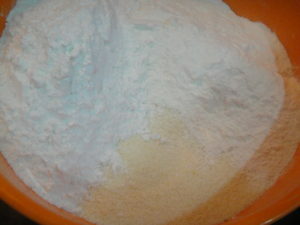 In a bowl take semolina, all purpose flour (maida) and rice flour. 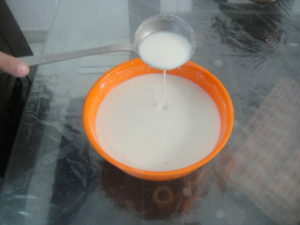 In the above mix add water, quantity of water will be according to variety of rava. I have added 2 cups of water in the mix to prepare the batter for my dosa. 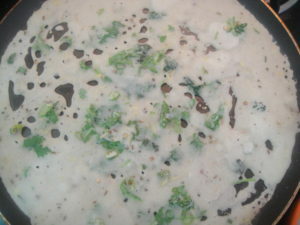 Dosa batter for rava dosa should be of thin consistency. 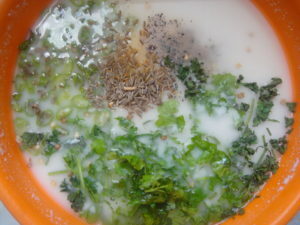 Add salt, chopped coriander leaves, chopped green chillies, crushed black pepper, salt, grated ginger and cumin seeds. Mix well and keep it aside for at least 15 mins. Heat a non-stick tawa. Before you start preparing dosa stir the batter, everytime when you use batter for dosa stir the batter. Semolina/rava sets at the bottom of the bowl, that’s why it is important to stir batter well. 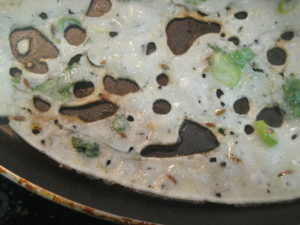 There are two ways of preparing rava dosa: in the first method, you can spread the batter just like we prepare normal dosa or pancakes or crepe. The other way is to sprinkle the batter on the pan with your hands(I have used second way only to prepare my dosa). This second way can get little clumsy, if you are new in dosa making. Flip the dosa and cook for 2-3 mins. Your rava dosa is ready ! Rava dosa takes more time to cook as compare to regular dosa. Do not forget to stir the batter, every time you prepare a new dosa. Adjust the consistency of the batter if it becomes thick. 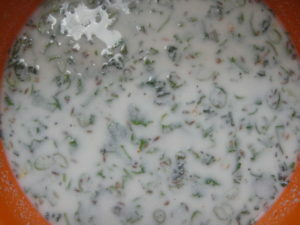 You can also add finely chopped onion in rava dosa batter.